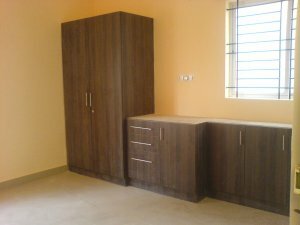 Single Room Brand New for Rent at Koramangala 7th Block Near Forum Mall & Star Bazaar, Bangalore.., Brand New Single Room with Parking, Semi-Furnished with Wardrobe, Kitchen Slab with Sink, Attach Bath Room, Brand Washroom Fittings, Vitrified Flooring, Located in Posh and Decent Location Close to Forum Mall, Hotels, Banks, Bus stops, Airport Pick Up & Drop. Easy Access to the Main Road, Ready to Move in. Located @ Koramangala 7th Block Near to Forum Mall & Star Bazaar. 2 Km to Sony World. 3 Kms to Embassy Gold Link (EGL). 5 Kms to MG Road.